Think what you see is what you get? Better think again. Haunted by elusive nightmares, A.J. waits for her transplant and struggles to remember the events leading up to the fateful night of September 4, 2075. Weeks crawl by without a glimmer, before memory finally floods back the night before surgery, every detail brutally clear. The transplant surgery goes off without a hitch—welcome news, because A.J. is raring for a rematch with Hell’s Boatmen. But contrary to popular belief, what you see isn’t always what you get. Take her new eyes, for example. Those baby blues may look perfectly normal, but they possess a power that turns her world upside down—the power to see into the hidden dimensions of the human heart. 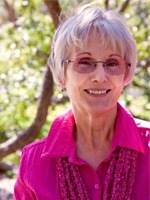 Award-winning author Kathy DiSanto wrote her first novel in 1997. That year, she published two romances with Bantam’s Loveswept line. One of them, For Love or Money, won a 1997 Romantic Times Reviewer’s Choice Award. In 2012, Kathy self-published two futuristic thrillers. 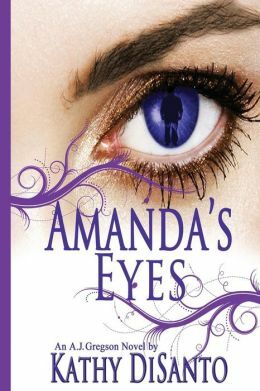 Amanda’s Eyes is a near-future paranormal thriller and the first novel in a series featuring crime reporter A.J. Gregson. Why Live? is stand-alone dystopian science-fiction. Thanks to her day job as a communications specialist with a major university, Kathy has written more than two hundred features for print and the web. She is a member of Science Fiction and Fantasy Writers of America, the Alliance of Independent Authors, the Independent Author Network, the Independent Author Index, the Indie Writers’ Network, and World Literary Cafe. When not writing, she takes brisk walks with Molly and Lucy (her rescue dogs), reads, and indulges in her latest hobby at the firing range.